Manufacture and Installation of purpose built Control Panels. 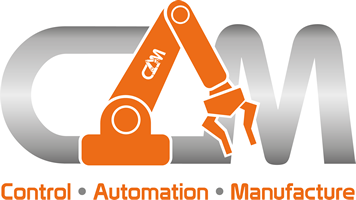 C.A.M Automation offer a control panel design service which caters for the needs of a simple extraction system panel, conveyor panels, dedicated machine control panels, etc. All work undertaken is in accordance with BS7671 IEE 17th edition wiring regulations also LV and EMC directives. All manufactured control panels are CE marked and come with a declaration of conformity. All control panels are manufactured by our highly competent and skilled panel technicians in our purpose build panel workshop. Using industry recognised techniques and practices we aim to ensure all control panels are manufactured to the highest of standards, using the latest of numbering and labelling systems, we also ensure an excellent level of labelling, making it easier to fault find. Upon completion all control panels are point to point tested to check all wiring is exactly as detailed in schematics. Where necessary all drawings will be marked up and modified (if required) before dispatch of the control panel.